CT Retrofit Energy Solutions installs Mitsubishi mini-split heat pumps for residential homes throughout Connecticut & Rhode Island. Mitsubishi is widely recognized as one of the leading global manufacturers of electronics and automobiles, but the company has also maintained a high profile in the heating and air conditioning industry for over half a century. This includes the establishment of an HVAC division in 1954 and introducing the first ceiling mounted, split air conditioner in 1967. Mitsubishi Electric USA operates as a subsidiary of Mitsubishi Electric. The company employs around 2,500 sales and technical professionals who work through a nationwide distribution network to provide access to the company’s HVAC products, parts, and service. The heating and cooling division of Mitsubishi Electric engineers and manufactures a full line of ductless mini-split systems. Ductless equipment is characterized by its ability to provide targeted cooling or heating without an associated air distribution delivery system. When combining an outdoor condenser with several indoor wall or ceiling air handlers, Mitsubishi mini-split systems offer precise comfort tailored for specific indoor occupancy zones. By using ductless equipment in place of a central heating and air conditioning system, architects can recover up to 10 percent of a home’s living area while eliminating the inefficiency associated with leaky, dirty or poorly designed ductwork. Mitsubishi offers a full line of ductless mini-split air conditioners and heat pumps to address any residential or commercial HVAC challenge. Unlike conventional central air conditioners and heat pumps, Mitsubishi split systems employ compressor inverter technology to provide greater comfort and energy efficiency. Basically, inverters control the input voltage to the motor, which regulates the speed of the compressor. Through a series of sensors, this action precisely matches compressor output to meet the load requirements of the living area, which reduces electricity consumption while enhancing indoor comfort. Single-zone air conditioning units are available in capacities ranging from 3,100-34,600 BTUs with SEER ratings from 13-21, depending on the compressor model. Each system includes a stylish wall mount cabinet, motorized vertical vanes, hand-held remote control and 150-degree diffusion angle for superior airflow across the room. Ductless heat pumps include a device that reverses the refrigerant flow to provide heating and cooling from a single system. Mitsubishi single-zone heat pumps are available with SEER ratings from 14.5 to 21 and HSPF heat ratings from 8.2 to 10. Heat pump units are ideal for room additions, room conversions, and living areas with inadequate cooling or heating. Indoor units can be purchased in wall mount, ceiling cassette, and ducted designs, and every heat pump system uses adaptive H2i technology to provide high heat in low ambient temperatures. Multi-zone ductless split systems provide the flexibility of operating several indoor air handlers with a single outdoor condensing unit. With capacities up to 48,000 BTUs, a Mitsubishi multi-zone system can accommodate up to eight separate indoor fan coil units. This flexibility allows the homeowner to choose between ceiling, wall, ducted, and floor mount air handlers in a variety of combinations. Each system offers advanced microprocessor control and a self-check diagnostic function ensures many years of reliable operation. Individual temperature controls for each indoor unit provides efficient operation and improved levels of comfort in every zoned area. Since the fan coil in a ductless mini-split system is located indoors, circulation through the filter can effectively clean the air in each room that contains a unit. Mitsubishi incorporates an advanced dual or multi-stage filtration system into every wall mounted enclosure. This includes a hybrid filter that helps eliminate a variety of odor-causing gases. A specially designed blue-enzyme, anti-allergen filter removes dust, dirt, pollen, mold spores, and a variety of biological pathogens. The filters are washable, easy to maintain and can last up to 10 years with proper care. To help enhance the indoor environment, Mitsubishi offers a variety of controls that allow each occupant to modify the operation of the system to meet their own comfort requirements. This includes an array of remote controls and sensors such as the MCCH1 wireless controller. The unit provides cool/heat/auto mode, on/off, set temperature functions, and schedule overrides. More advanced controls offer touch screen capability, PC monitoring, scheduling, and remote emergency stop. Heating and cooling with ductless technology have been the industry standard in Europe and Asia for decades. As a result, there are numerous mini split brands and models available in the U.S. Unlike many competitors, Mitsubishi has a proven track record of reliable performance and an extensive network of local HVAC distributors and dealers. Mitsubishi ductless split system owners can remain confident that parts are readily available and support is easily accessible. 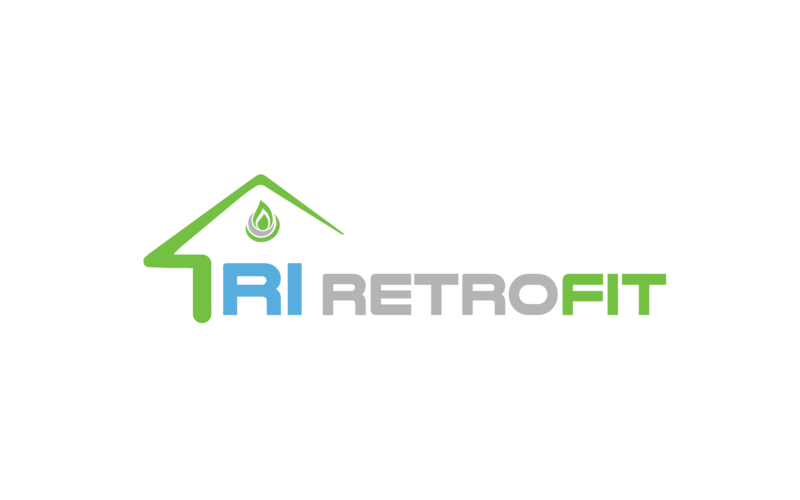 Choose CT Retrofit for your Mitsubishi Ductless AC & Mini-Split installation in CT .
CT Retrofit is a leading home energy contractor in Connecticut. When you’re learning about a new energy options in your home like the ductless mini-split, do your research and get as much information from a reputable contractor as you can. We’re here for you. Working to make make you completely satisfied.